Thanksgiving is approaching, and so is the almost inevitable fact that we will eat until we feel absolutely stuffed. But imagine if no matter how much you ate, you never felt full. Worse yet, imagine if it wasn’t you, but your child. A parent’s love is tender, adoring, forgiving, and unconditional. And it is fierce! We hold our babies for the first time and instantly understand what everyone meant by “mama bear,” vowing to do anything to keep them safe and healthy. So, what do you do when a rare, untreatable diagnosis comes along and puts all of that into jeopardy? When the doctors talk more about limits than abilities? More about challenges than joys? If you’re anything like me and my dear friend Rachael, whose son Jude shares the rare condition of Prader-Willi Syndrome (PWS) with my daughter, you find a whole new set of powers within, you lean heavily on the love of your tribe, and you change the future…one step at a time. When Eliza was first born, we had the same hopes for her that any parent would– to be happy and healthy and to live a full, wonderful life. We had one whole day of reveling in those dreams before her lack of eating prompted nurses to push for a gavage feed. She was wheeled away for what I was assured would be a quick fix, but the minutes kept passing without her return. When I went down the hall to find out for myself what was taking so long, I saw my husband and a nurse practitioner walking ominously towards me. Eliza was not with them. Time seemed to move in slow motion as I walked through the doors of the NICU unit, where I would spend most of the next five weeks of my life. I remember the moment I saw Eliza in her new bassinet. Her tiny, perfect body was covered with wires and tubes, and she seemed somehow off limits. 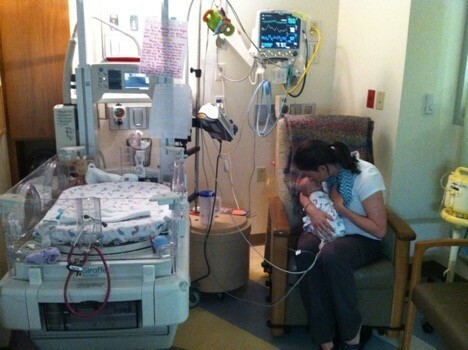 I didn’t know what my role was as a NICU mother…wasn’t sure if I could touch her or talk to her. I felt raw and vulnerable, moving through the shock and grief and fear in front of a room full of strangers who all seemed to know everything I didn’t. The truth was, no one knew what was keeping our little girl from eating or moving much. 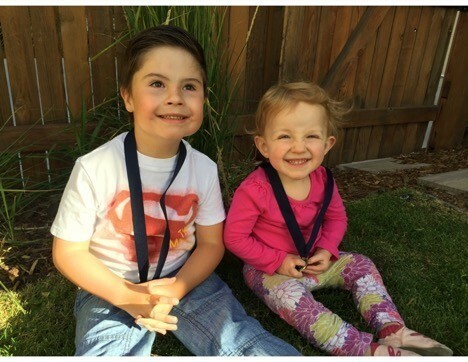 We went through a string of tests and waiting without answers before getting the diagnosis I prayed would never come… Prader-Willi Syndrome— a rare genetic condition caused by an abnormality in chromosome 15 that causes low-muscle tone, slowed metabolism, and chronic hunger. PWS occurs in about one in every 15,000 births and is the leading genetic cause of childhood obesity. In that moment, my world came crashing down all over again. The endless possibilities I had once imagined for her seemed suddenly capped, as if the words themselves changed who she was and who she would become. Once again, I felt uncertain in my role with her. Everything seemed foreign and wrong. “Hold her,” my mom beckoned beside me. “Look at her. She’s still Eliza.” I cradled my tiny baby and wept for the challenges I knew she would face…the challenges I was powerless to take from her. That was it, wasn’t it? I couldn’t fix it. I couldn’t escape it. I couldn’t turn back time and will it all to happen differently. Amidst the wave of emotions (and there were many), the one that still stands out to me in those first weeks and months was helplessness. I was supposed to be the one protecting her and providing for her, but I couldn’t take this away. 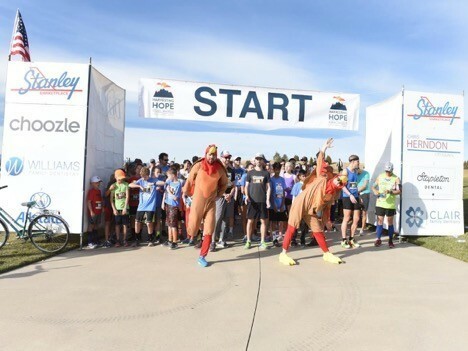 When Rachael approached me just a few months later with her idea to start a new Denver turkey trot to benefit PWS, I felt like I was given this incredible opportunity to actually do something. It seemed overwhelming at first in many of the same ways the diagnosis did. I struggled to take the first step because I didn’t know if I could make the journey, but Rachael’s determination inspired me. There were logistical problems to be solved—Denver had a moratorium on new events that year, there were a multitude of permits, code regulations, and insurance requirements we needed, and we had to build a community of volunteers, runners, and registration and timing professionals to make it happen. Truthfully, it still seems like a miracle that it happened at all that first year. But people gave generously of their time and their talents, and despite icy conditions and seven-degree temperatures, nearly 500 people chose to start their Thanksgiving Day supporting our cause. 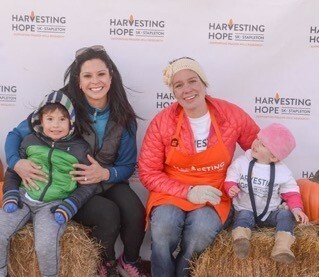 Since then, our Stanley Harvesting Hope 5K has raised over $100,000 to fund research for treatments, and race day numbers have soared to nearly 1,500 participants, with even more expected this year. The event is intentionally inclusive, with a course that accommodates strollers and wheelchairs, and even a free fun run for kids under 10 to encourage everyone to join in the fight against childhood obesity, of which PWS is the leading genetic cause. Eliza and Jude may not be able to look forward to a feast that day (people with PWS have an exceptionally slow metabolism and have to monitor their food intake very carefully), but they will have an opportunity to gather with their community and share in the holiday with a focus outside of the meal—one that really gets to the root of what it is we celebrate. Rachael and I are not the same women we were before these kids were born, and we are not the same mamas we were when this race kicked off for the first time four years ago. What’s more, the future we were promised when it all began has changed. At that time, there were zero drugs on the horizon to treat PWS. We now have more than eight in clinical trials! And while the hunger piece is huge, what we all want is for our kids to live life full in every way. To have meaningful relationships, to live independently, to work and learn and give back through every season of life. We are not rich or famous or even especially well-connected. But we are mothers. And I’m learning again and again that that’s more than enough to affect change. It starts when we look beyond what is and imagine what might be, but change really gets going when you push it along in small acts every day. It is educating your schools and your communities about inclusion and what it looks like for your kid. It is walking into the restaurant, the office, or the salon to ask for a donation when you don’t especially like stepping out of your comfort zone. It is putting all your thoughts out into the world through social media and blog posts, even when what you have to share isn’t always pretty. It is listening to each other’s fears and struggles and imagining them as your own. That’s not hard to do as parents. We all get lots of practice, don’t we? When our kids hurt, we hurt with them. But imagine extending that empathy just a little farther, maybe to a neighbor or someone you don’t even know. To harvest means to gather in, and while that generally pertains to crops, it absolutely applies to each other. It applies to love and acceptance and putting in the work. And for us, it applies to hope, which we will keep harvesting this Thanksgiving and all throughout the year. 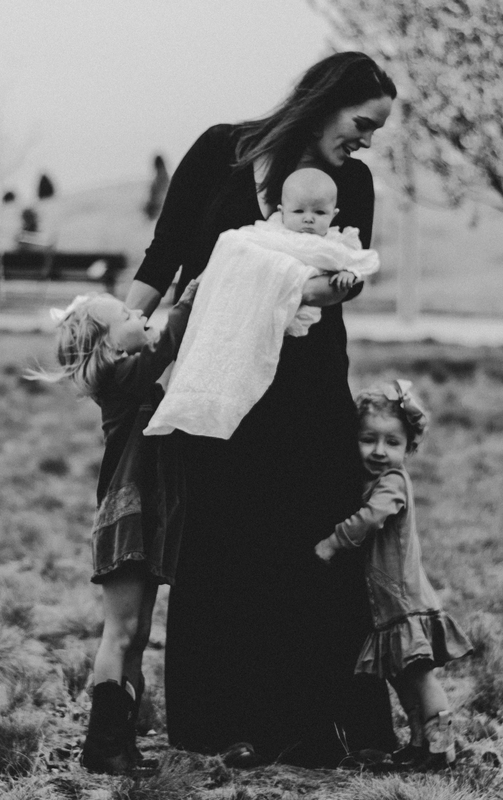 Julie lives in Denver with her husband, Derrick, and their three little girls. Her experiences with her daughter Eliza inspired her to become a writer and presenter to the medical community, advocating for the parent’s voice in the NICU and beyond. She is a faculty member of the Fragile Infant Feeding Institute and author of the blog Leaning Into Love (www.leaningintolove.com), where she writes about her journey parenting a child with special needs.